Pressure injury, pressure ulcer, decubitus ulcer, bed sore are synonymous terms that define a wound that is deemed by many to be preventable. However, palliative care patients who are close to death may have compromised skin perfusion and ischemic skin changes as physiological responses divert blood flow from the integument to other major organs. Tissue tolerance to pressure, shear, and friction is further compromised by malnutrition, cachexia, immobility, and inactivity and comorbidities, which are frequently associated with end of life. Palliative care patients are considered to be at high risk of pressure injuries because of these challenges and an informed and collaborative approach to prevention and management is of paramount importance. The chapter provides an overview of the etiology of pressure injuries and the evidence presented in the National Pressure Injury Advisory Panel, European Pressure Injury Advisory Panel, and Pan Pacific Pressure Injury Alliance (NPUAP, EPUAP, and PPPIA) Prevention and Treatment of Pressure Ulcers: Clinical Practice Guideline (Prevention and treatment of pressure ulcers: clinical practice guideline. 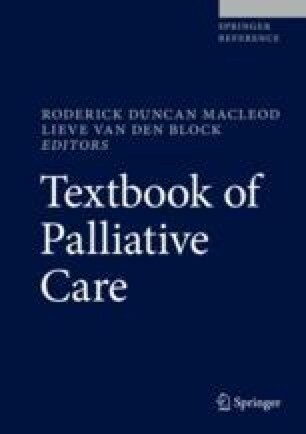 Cambridge Media, Perth, 2014) and the dedicated chapter on palliative care. home care patients: prevalence and characteristics. Rev Esc Enferm USP. 2014;48(2). www.ee.usp.br/reeusp/. https://doi.org/10.1590/S0080-623420140000200010. Reger SI, Ranganathan VK, Orsted HL, Ohura T, Gefen A. Shear and friction in context. In: International review. Pressure ulcer prevention: pressure, shear, friction and microclimate in context. A consensus document. London: Wounds International; 2010. Available from: http://www.woundsinternational.com/media/issues/300/files/content_8925.pdf.